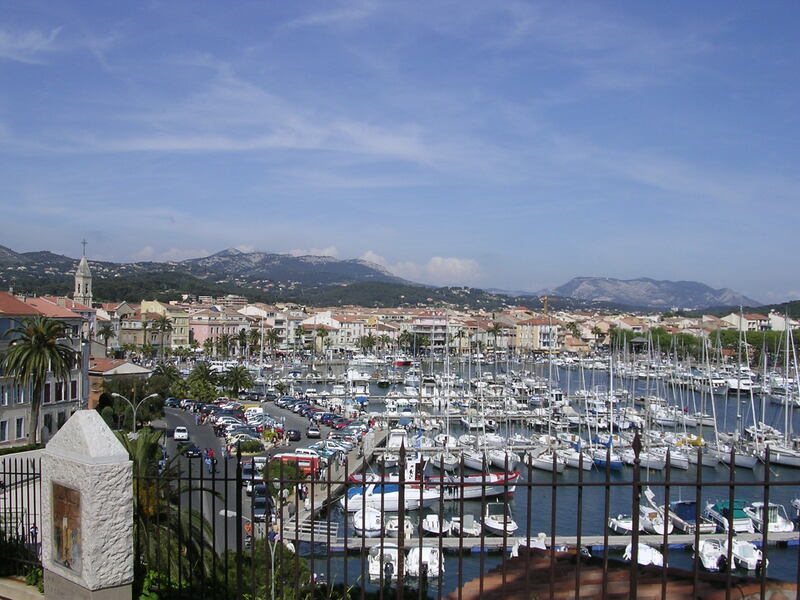 Nestled between the larger towns of Toulon and Marseille you’ll find another seaside treasure, Sanary-sur-Mer. If you’re making a trip to Marseille, it’s not very far to visit Sanary, La Ciotat, and Cassis. 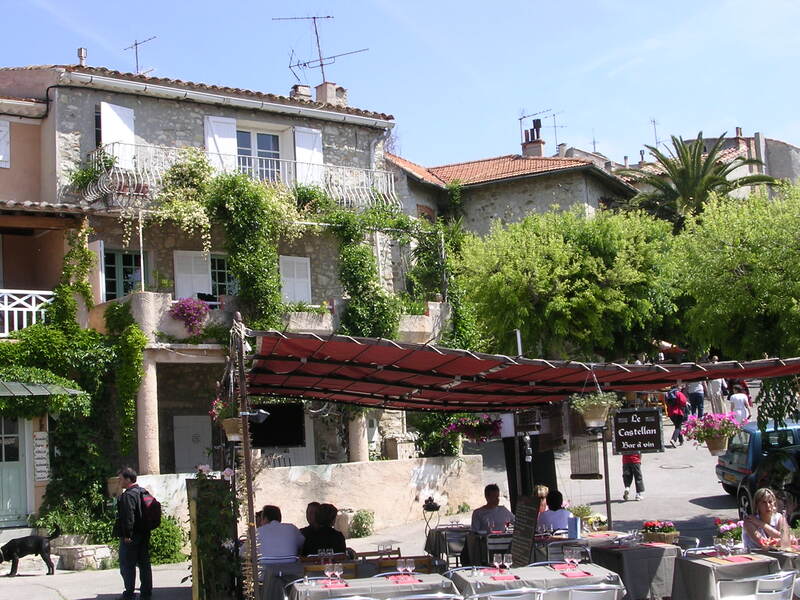 Don’t you just love these small French beach towns?! 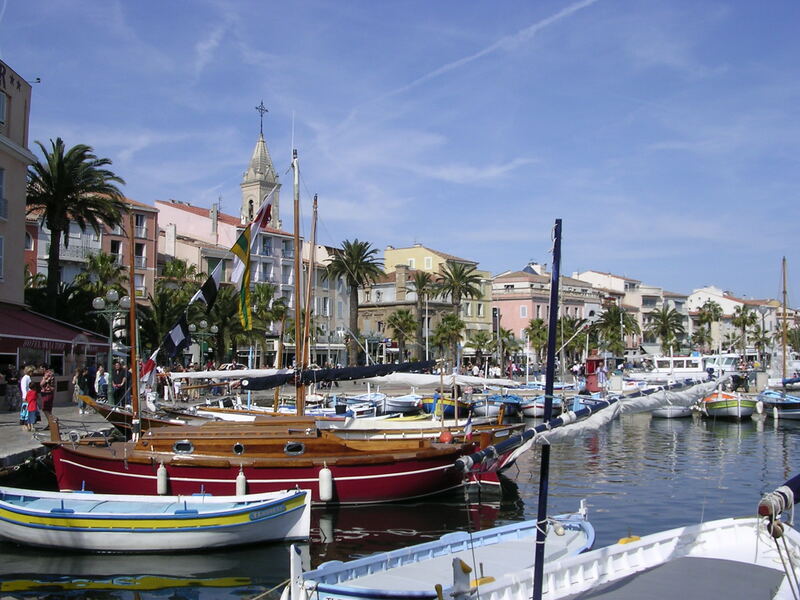 Sanary was established as a fishing village in the 16th century but really became a tourist destination around the 1980s. it’s a place to enjoy the beach life on a village scale. There are small beaches, with an animated village life all year round. It is thought to be the sunniest place in France, though I have heard the same about Menton, near the Italian border. You’ll have to visit both and make up your own mind! It does get its share of windy days from the Mistral, a gusty Provence wind from the Rhone valley, and this makes it popular with wind surfers. The best part of Sanary is the port and the natural harbor, surrounded by palm trees and pastel-colored buildings, as well as a lively, fun atmosphere. The harbor is filled with brightly-painted wooden boats. Fresh fish is sold from them daily by local fishermen. There is an outdoor market daily where you can buy fresh produce or flowers. Wednesdays there is a bigger market. There is a boardwalk (esplanade) near the waterfront. 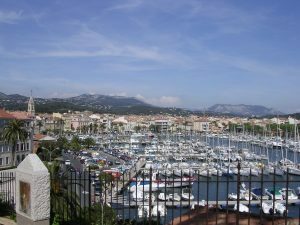 Just before the Second World War many German writers, including Thomas Mann and Franz Hessel moved to Sanary to escape Nazism. English writers, such as D. H. Lawrence, went there too. Jacque Cousteau had a house there, and it was nearby that he and Frederique Dumas invented the aqua-lung. There is a museum called The Frederique Dumas International Diving Museum housed in a 13th century Romanesque tower. Of course there are lots of things to do. Chapelle Notre-Dame-de-Pitié was built in 1560 west of the town. From the church there is a beautiful view of the bay of Sanary, and includes nearby islands and red rocks of the coastline. Beaches: Sand beaches include Lido, Portissol and Bonnegrace. Other beaches, such as La Cride, Beaucours and Roc Amour are somewhat smaller and have rocks and pebbles. The Esplanade beach is close to the center of the town. A few miles to the west are Bandol and Beausset, two towns where you can taste and buy local Provence wines. Some of the vineyards go back to Roman times! Tour romane: A medieval tower, built around 1300. Every morning there is a Provençal market under the plane trees, with lots of fresh produce. There is even a night market! 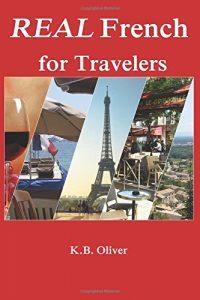 Boat trips to Cassis, the calanques of Marseilles, and the island of Porquerolles. Several medieval villages are nearby, including the walled village up on a hillside, Castellet. Each year in May is held an international photography festival. 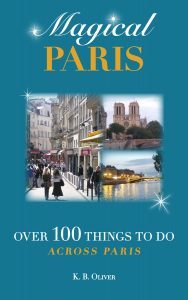 As you can see there’s quite a lot to see and do, both in Sanary-sur-Mer and nearby. It will keep you busy…or not, if you prefer to bake on the beach. Up to you, in this small, beach side treasure.